Concur for mobile goes where you go. smarter— and life a little easier. Upload ATO compliant images directly to an expense claim. Immediately approve or reject expense claims via manager access. ExpenseIt Pro makes expenses even easier and provides companies with real-time picture of their T&E spend—which means out-of-policy spend shows up sooner, helping control cost and compliance issues while speeding up the approval process. Plus, minimal manual entry means no worries about errors or lost receipts. 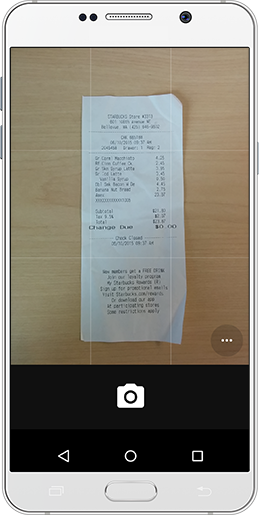 Simply take a picture of each receipt, hit “export,” and ExpenseIt Pro automatically creates, itemises and categorises the expense entries. The claim is well on its way to being complete, the data is photo-accurate, and paper receipts become a thing of the past. Book flights, rail, or hotels from your tablet device. Create a single itinerary from any travel reservation and any travel vendor with TripIt® Pro. Add car mileage to an expense.